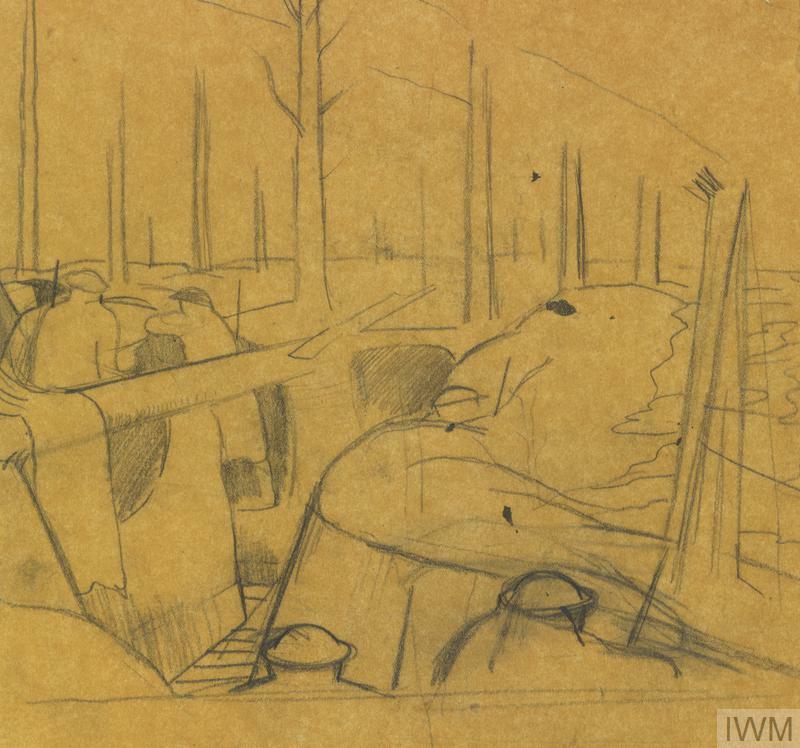 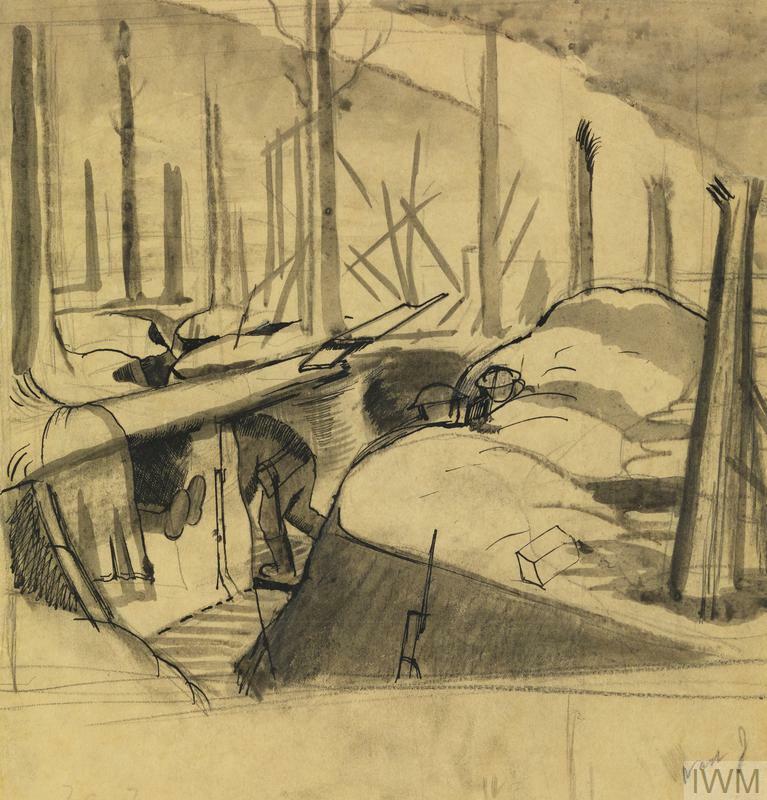 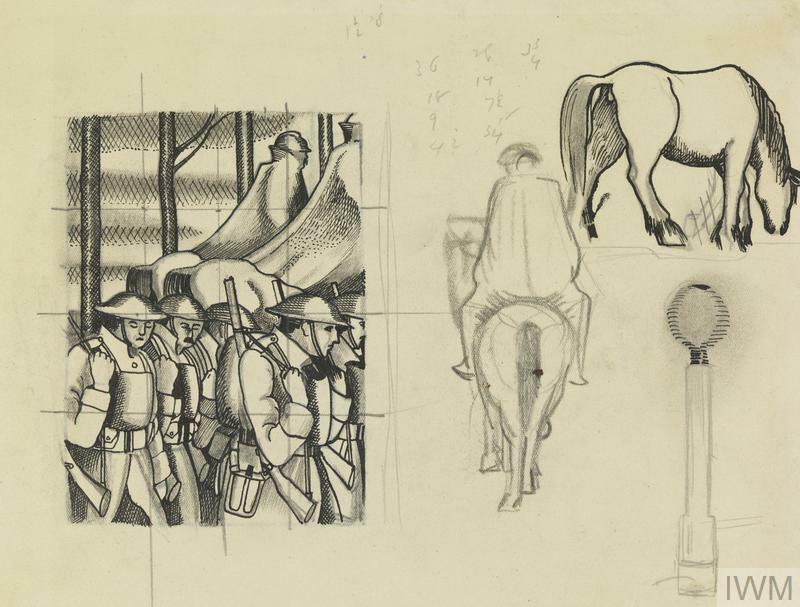 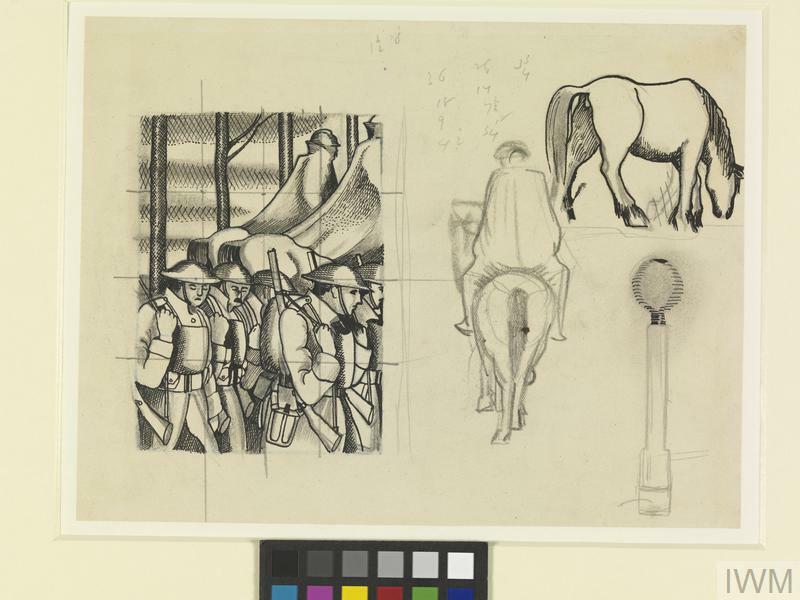 image: studies and sketches of troops moving along a road. 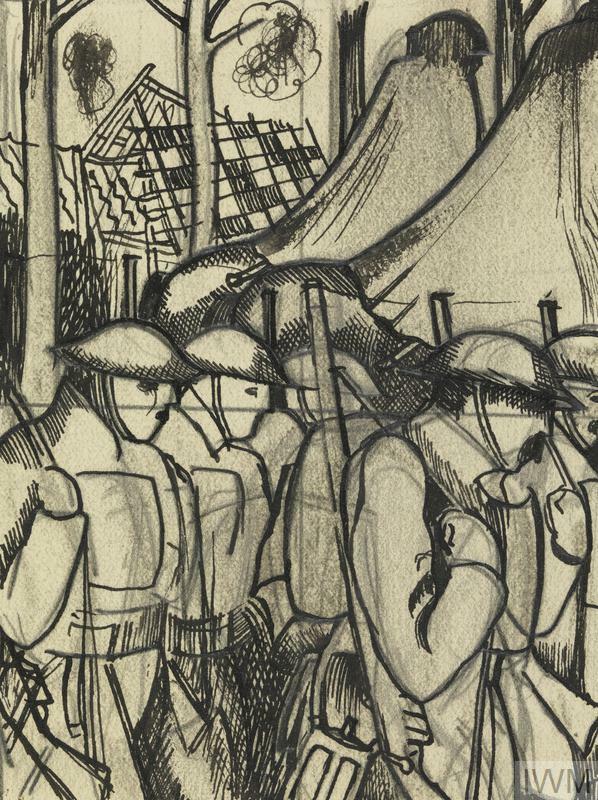 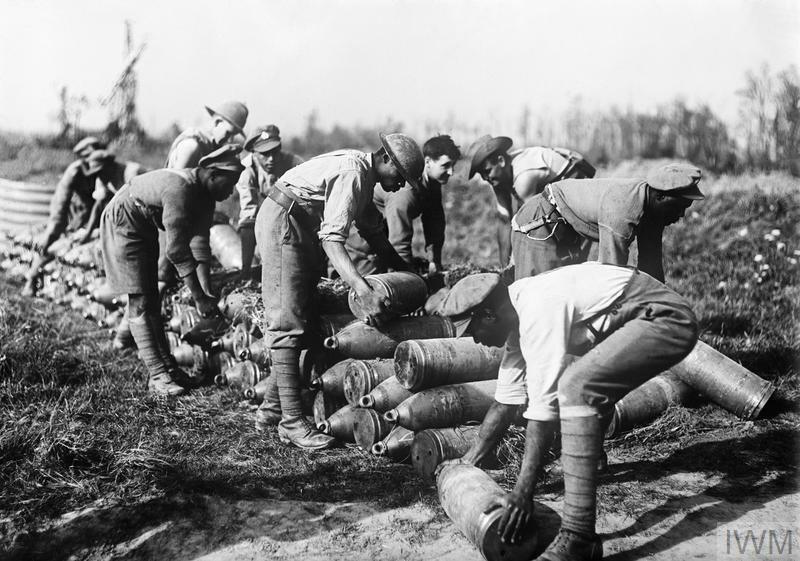 In the left half is a squared up study of British infantrymen marching along a road, the men walking in rows wearing full kit with two mounted French officers directly behind them and a line of trees in the background. 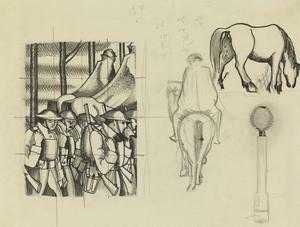 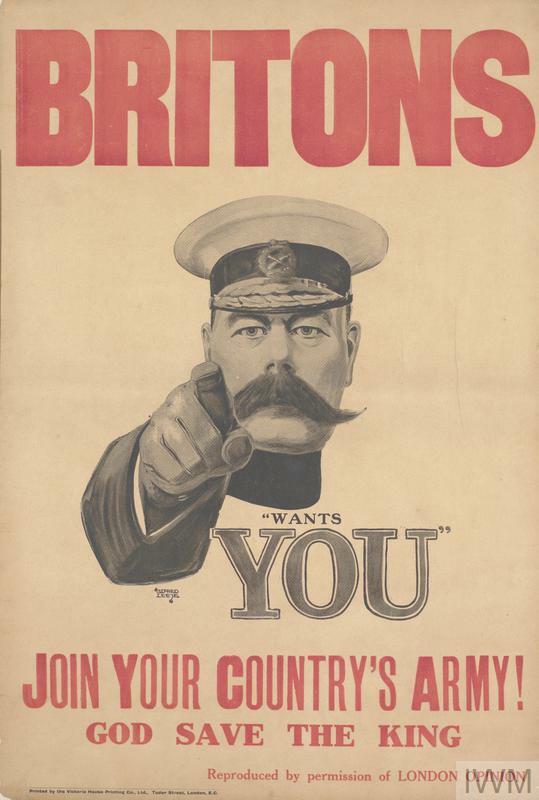 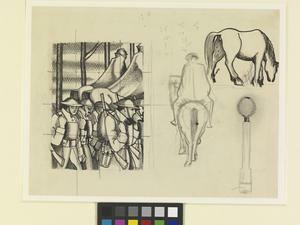 In the right half are three sketches: one of a soldier on horseback wearing a long cloak and shown from behind; a horse leaning over to graze; and what appears to be a roadside post.